Slow cookers are among the most popular and convenient homes appliances on the market—second only to the microwave. They’re as affordable as they are useful, and there exists an entire discipline of cooking dedicated to their use. These handy helpers may be called Crock-Pots, Pressure Cookers, Slow Cookers, or even Rice Cookers. The best slow cookers on the market offer a robust selection of temperature selections to offer you the most control over your meal as possible. This article looks at some of the features you need to check for, some bells and whistles to consider, and some of the best slow cookers and pressure cookers currently available. Slow cookers have been around since the late 1970’s after their invention by the Naxon Utilities company, directed by a man named Irving Naxon. This original design was named the Naxon Beanery All-Purpose Cooker until it was bought by The Rival Company (yes, that’s their real name). The Rival Company then re-branded the Naxon Bearnery to much more easily digestible ‘Crock-Pot’. This company eventually got scarfed up by Sunbeam, which is still among popular slow cooker brands. Technically speaking, a ‘Crock-Pot’ is a patented name for the slow-cooker offered by Sunbeam. There are many more popular brands of slow cookers on the market today, many of which feature far more options than the simple designs of the past. The modern slow cooker has evolved greatly since the original Naxon Beanery, though the fundamental principles of design remain the same. For this article, we’ll be assuming you are at least vaguely familiar with slow cookers and pressures cookers, and when and how to use them. Our focus will be placed on new features for different cooking practices, understanding temperature differences, and even WiFi controlled models such as the Wemo Smart Slow Cooker! When comparing the best slow cookers available today, the main differences are found either in major features such as pressure cooking capacity and overall volume—or in the bells and whistles like WiFi control. As a general rule of thumb, if you purchase a slow cooker from a reputable brand such as Breville, you’d likely never have a complaint. Many of the best pressure cookers on the market today also serve just as well as a slow cooker. In fact, if you’re just here looking for a high quality slow cooker and don’t really have much specific needs—just take a look at the Breville Fast Slow Pro—you can probably save yourself some time. 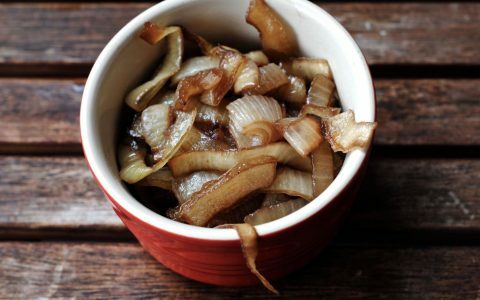 For everyone else that’s looking for the best slow cooker features for specific culinary delights, read on! Among the many bells and whistles found on any products these days, there exist a core set of features to consider when looking for a pressure cooker for sale. These include programability, overall capacity, searing inserts, and temperature levels. Cheap slow cookers may have ‘adjustable’ temperature settings, but it’s usually just an arbitrary dial rather than exact numbering. Many modern slow cookers feature integrated digital controls so you can set the temperature to the exact degree you’d like, similar to an oven. Pressure cookers now offer digital control over how much pressure is being applied, therefore affording better control over cook times and consistency. These are just some of the most important features, and below you’ll find a bit of discussion on why they’re important, and what other features to look for as well. It goes without saying you need to be able to control the temperature of your slow cooker. Even the most basic of models has this feature built in, though it usually consists only of being able to specify low, medium or high temperatures. Quality slow cookers now come equip with digital interfaces or other devices such as thermal probes that can control exactly how hot your cooking temperature is. Many of these digital controls allow for the programming of cook times and temperatures which is really useful in many circumstances. 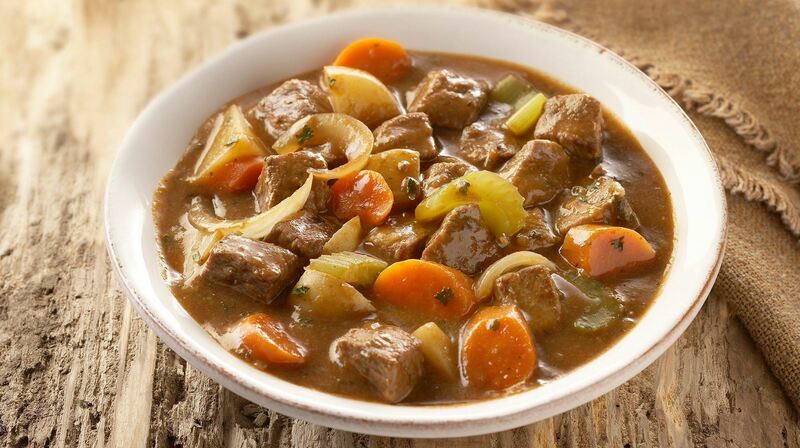 For example, you could cook a beef stew on low for 1 hour to ensure all the ingredients are mixed well, cook it on high for 4 hours, and then return it back to low heat to allow for greater ‘in-pot’ time. On many modern slow cookers, this can be done with a single push of a button! 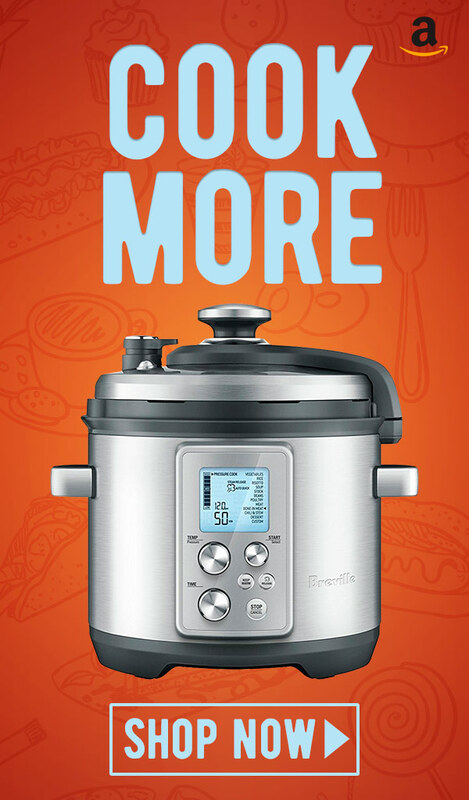 You may, or may not, be interested in working with pressure cookers. These types of appliances are used to seal up a recipe and create a certain degree of pressure which allows cook time to be reduced, sometimes dramatically. This relies on some basic principles of science that we won’t cover here, but just know that more pressure means quicker cooking. Pressure cookers have long since been a separate appliance from slow cookers and Crock Pots but are now being integrated into single, serve-all, devices. 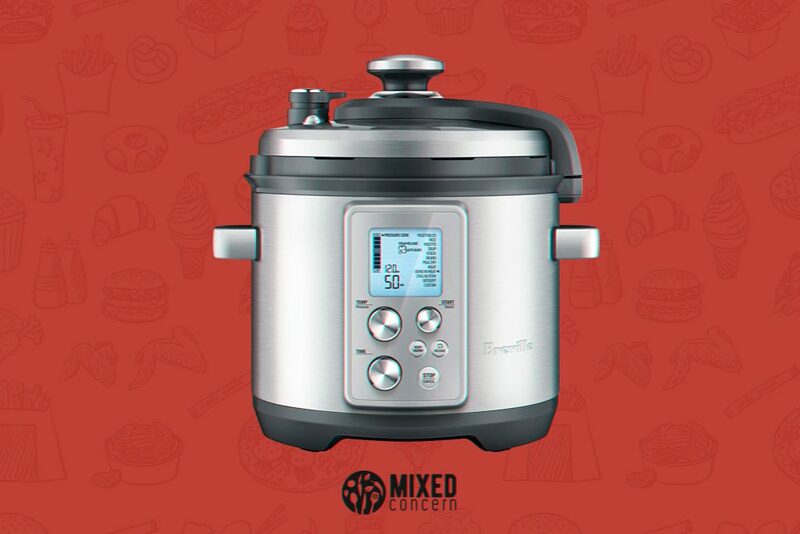 Much like our many computers and website logins are now managed by our smart phones, kitchen appliance companies have began making combination slow cooker/pressure cooker devices. As mentioned earlier, the Breville Fast Slow Pro offers such features as these. This extra layer of versatility for pressure cooking recipes isn’t likely something that you’ll be using every day—but can come in handy when you need it the most. The main benefit of pressure cookers are the ability to reduce cook times but they also open a whole new range of options for some of your favorite recipes. Another important consideration should be afforded to the overall capacity of a slow cooker. Generally speaking, the best rated slow cookers tend to have capacities between the 5.5 -7 quart range. This allows an ample amount of food to be cooked, but also keeps the size counter top friendly. Engineers take into consideration the depth of average-sized kitchen storage spaces when designing slow cookers. In order to create a larger-capacity slow cooker without making it too large to fit in cabinets, most designs simply increase the width of the cooking bowel—creating an oval shape rather than a circle. If you’re looking for a high performance slow cooker with good review and a large capacity, you’re likely going to be looking at an ovular design. As mentioned before, having the ability to program cooking functionality can be a must-have for certain recipes and schedules. Many people rely on slow cookers to cook a meal all day long while they are at work, though that can sometimes be as much as 12 hours at a time! Many recipes wouldn’t be able to withstand even low heat settings for this amount of time. Being able to configure a slow cooker for intermittent heating, time-dependent start up, and cycling of temperatures offers the ability to conveniently cook any type of meal! In some models such as the Crock-Pot SCCPWWM600, this type of functionality can even be controlled by your smart phone via WiFi! You can monitor temperatures and get other valuable information about your meal from remote distances rather than scurrying into your kitchen every hour. Obviously, no smart phone will ever replace the smell test, but it is certainly one useful feature to consider! We’ve given a quick overview of some of the most sought-after, and most-commonly seen features to consider when buying a slow cooker. These are the features that will be included in nearly every slow cooker that is of high merit. These types of features—save the WiFi—should be considered to be the minimum requirements of any new slow cooker. Other notable features are sautée and searing inserts to offer specialized cooking function as well as integrated pressure cooking functionality. One of the most beneficial considerations to make when buying a new slow cooker is what kinds of meals you plan on making with it. If you’re a casual user, you probably don’t need as robust of a temperature control system, or WiFi, or a searing insert. 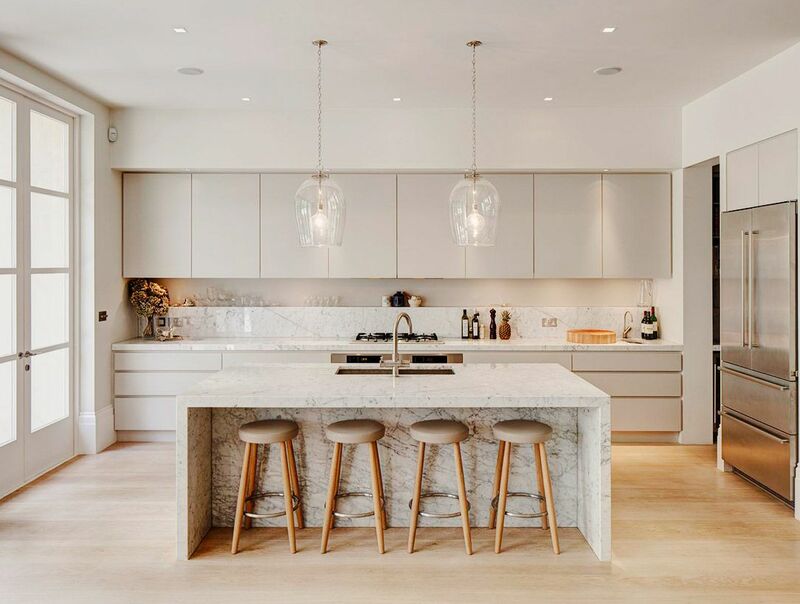 If you are truly passionate about your cooking however, sometimes a little extra money can make your kitchen seem a lot bigger! With no further ado, below you’ll find a brief overview of the best slow cookers on the market as well as links for the best places to buy them. The Instapot DUO is one of the best selling, best-rated slow cookers in existence. Technically speaking, it’s likely best-described as an electric pressure cooker. 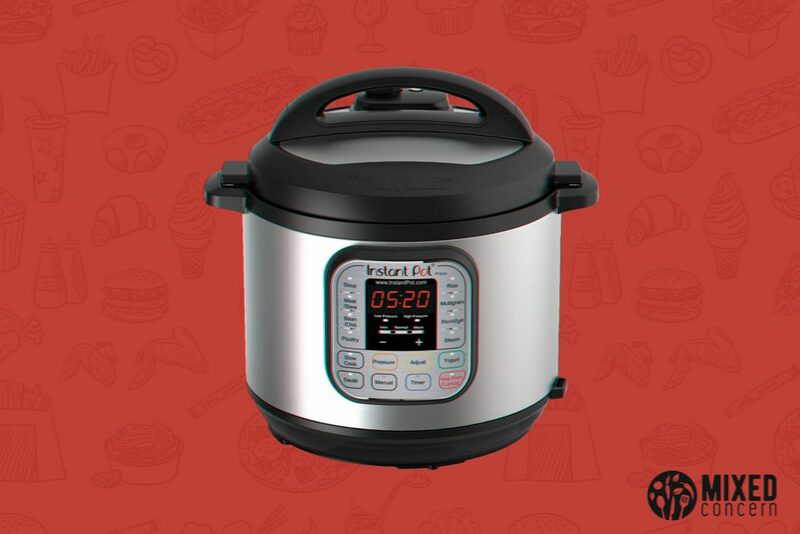 The DUO60 is the 6 quart version of Instapot’s best-selling DUO80—featuring an 8 quart capacity. We’ve chosen to feature the Instapot DUO60 because it’s more practical for the average household. Also, the Instapot is a circular design, and the DUO80 has been noted by many as ‘barely’ fitting into their kitchen cabinets. This slow cooker features a very complex and powerful digital control system that comes with 12 pre-programmed settings for the most common types of meal preparation. It’s advertised as able to reduce cooking times by as much as 70% (pressure cooking functionality) and comes with a sautée feature useful for searing meats pre-roast. This slow cooker is suitable for pressure cooking, slow cooking, cooking rice, steaming vegetables, making yoghurt, or simply keeping food warm. This is the 6 quart model of the infamous DUO80 and is capable of slow cooking, pressure cooking, steaming, and even sauteing. Crock-Pot is a slow cooker brand that few need any introduction for. Their presence in the kitchen appliance space is legendary, and their products are found in nearly every home in the United States! The Crock-Pot WeMo Smart Slow Cooker is a fine example of how this company has continued to evolve with modern technology. Crock-Pots WeMo technology stems from an integrative mobile App (free) that can be used to control and monitor WeMo-enabled products. This allows for the control of your crock pot while at work, shopping, or simply on the other side of the house. This slow cooker features a 6 quart capacity and three temperature settings. The most notable feature is clearly the WiFi integrated control, though consider carefully if this will actually offer any benefit to you. For example, if you can program your slow cooker to change temperatures and delay cooking—do you really need to do it manually via an app? This crock pot still performs well, has received great reviews, and is backed by Crock-Pot (SunBeam’s) 1-year warranty. Note; this is a slow cooker only and does not include any pressure cooker functionality. This 6 quart slow cooker can be controlled via WiFi on your smart phone through integration with Crock-Pot’s WeMo app. Breville is legend within the kitchen appliances market. They make some of the most-renowned juicers, mixers, and espresso machines that money can buy—while still maintaining affordability. The Breville Fast Slow Pro is no exception, and features a truly remarkable set of functionality and performance options not matched by other cookers on this list. This slow cooker is a pressure cooker/slow cooker/steamer combo with fully-integrated digital controls and has a 6 quart capacity. This slow cooker is suitable for rice, soup, stock, bone-in-meat, soup, beans, and offers pressurized cooking for reduced cook-time. For more accurate temperature monitoring, the Breville Fast Slow Pro has temperature probes on the top and bottom of the cooker. This cooker is slightly more expensive than others on this list, but is hands-down one of the best slow cookers on Earth! Suitable for anyone looking to add quality and consistency to their kitchen with a powerful slow cooker/pressure cooker combo. Not only is this one of the best slow cookers on the market, but it’s also one of the best pressure cookers as well! This slow cooker offers a powerful set of features and robust temperature control making it capable of handling nearly any type of meal. Slow cookers are one of the best ways to help manage your busy life while still managing a home cooked meal. Those with pressure cooker features can help cut down on cook times and help squeeze more hours out of the day. Other approaches such as delayed start cooking, all day cooking, steaming, bone broths, and even pan-seared beef stews can be whipped up without issue! The best slow cookers on the market today come packed with easy-to-use features and offer time-saving functionality like pressure cooking. While technically speaking slow cookers, pressure cookers, and rice steamers are all different appliances, most modern slow cookers are really ‘combination’ cookers offering all of these features. Before buying a slow cooker make careful consideration of your cooking goals and how you plan to use it. For casual cookers, simplified settings are likely a better choice. For those that want as much control as possible, models such as the Fast Slow Pro from Breville will likely be better suited. These slow cookers allow total control over cooking temperature and time, and also come packed with useful features. Finding the best slow cooker for you involves considering how you plan to use it, your budget, and the recipes you'll be making.